Inquiry-based learning is a key component of degree programs in sustainability science. Since the research field focuses on sustainability challenges, which often require an interdisciplinary or transdisciplinary approach, students are not only introduced to the basics of sustainability science, but also trained in cooperative forms of research. 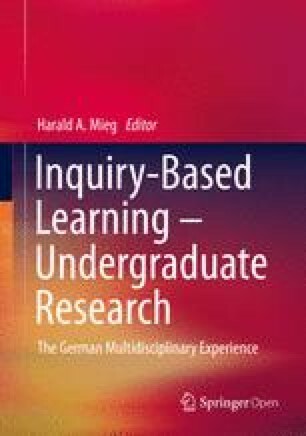 Thus a variety of study objectives are combined, which can be very well implemented in the mode of inquiry-based learning.